Safety skirt and pockets for Waouuh 360 trampoline. - The webbing of the protective skirt is very fine and see-through, so you will always be able to look through it. You will be able to check if your children are under the trampoline. Also, if you have pets, they often enjoy dangerous hiding places. Thanks to this protective skirt, you will avoid any form of injury. - This protective skirt also has a shoe bag sewn to it. This accessory is very practical as it has 5 large pockets where you can stow your shoes, snacks for your children, as well as telephones and other personal items. 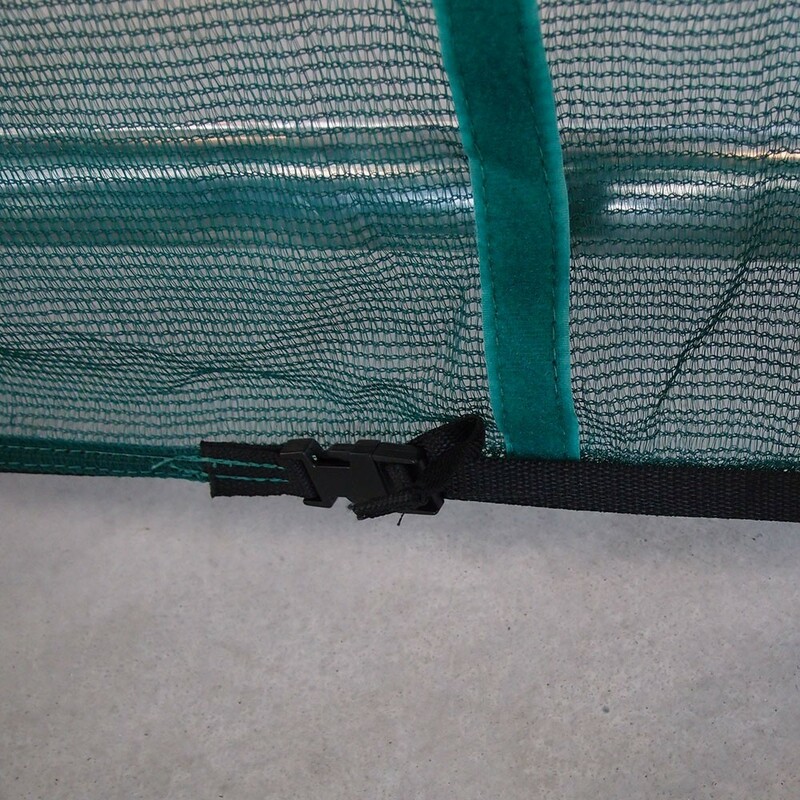 You will no longer lose anything out of your pockets during your trampolining sessions! 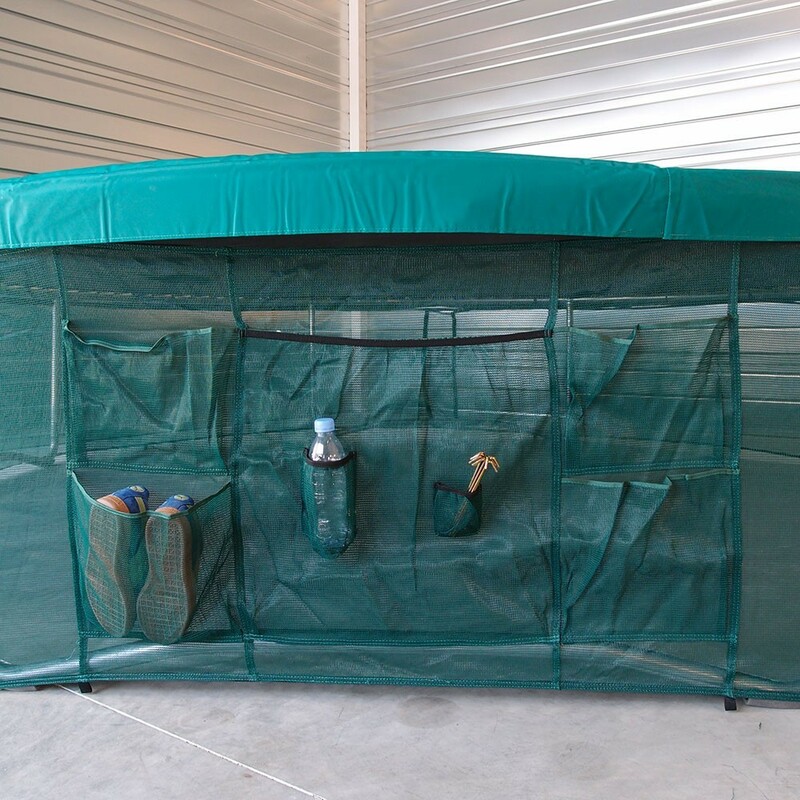 - The safety skirt needs to be installed once the trampoline is in place. You can then install an enclosure if you wish to. 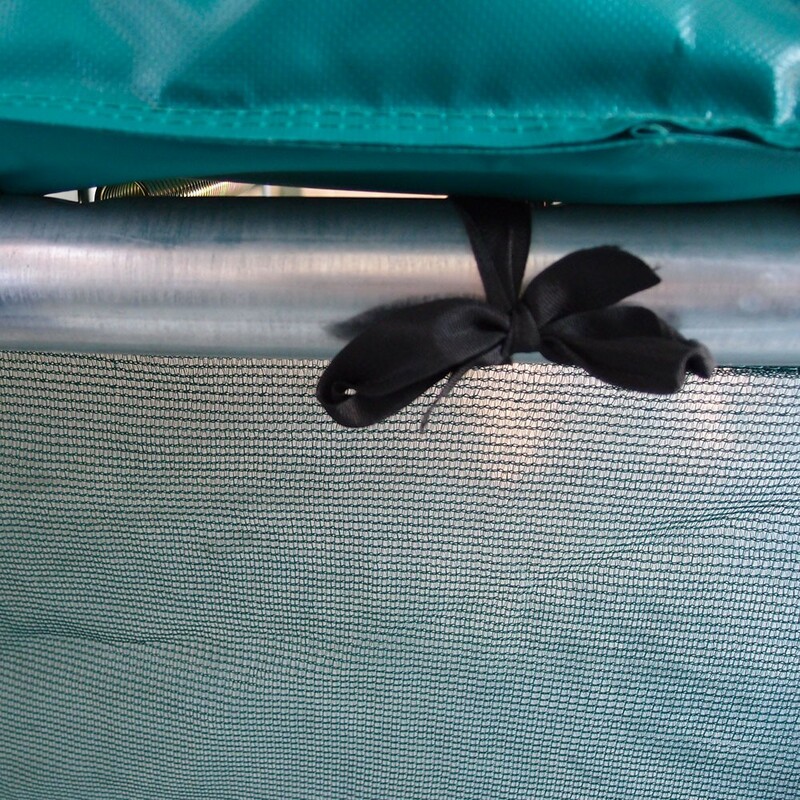 The skirt attaches to the steel framework and then metal pegs are used to attach it firmly to the ground.